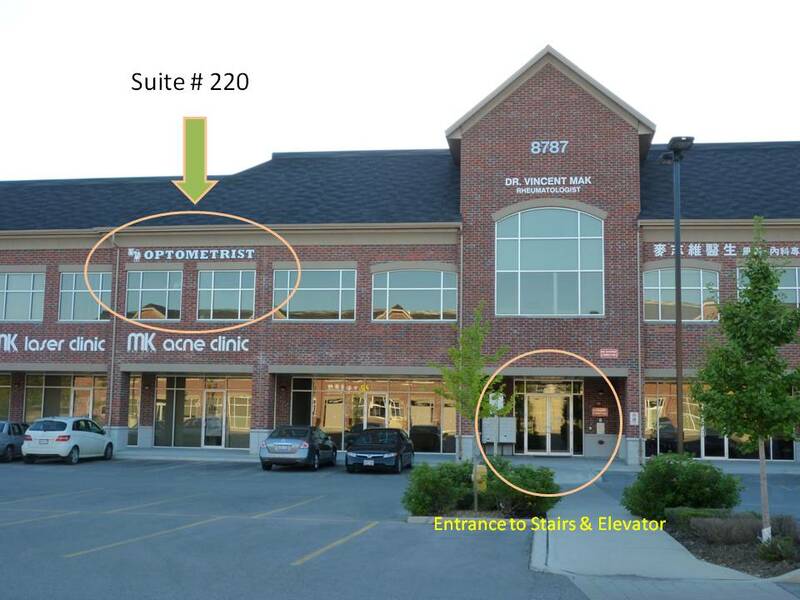 Our Markham optometry clinic is on the 2nd floor of a newly built 2-storey, disabled-accessible, medical brick building (closest to Woodbine Ave.). 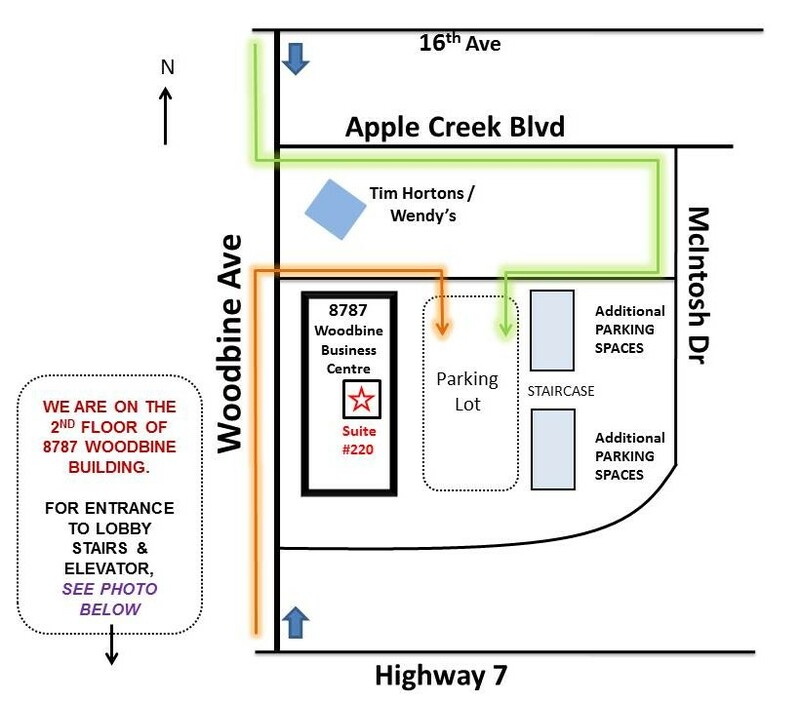 It is directly SOUTH of Tim Horton’s/Wendy’s at Woodbine and Apple Creek Blvd. This is also 1.5 blocks NORTH of Woodbine/Hwy 7 (Michaelangelo Plaza). Please consult the map and pictures below. Entrance to the main building lobby with elevator & stairs to second-level suites is located at the middle of building, or just next to the General Physician clinic (Dr. Wong/Dr. Leung) on the ground level parking area. When you reach 2nd floor from the main lobby stairs or elevator, go through the door that connects to the 2nd level hallway. Once you enter through that door, turn left walking the corridor to suite #220.